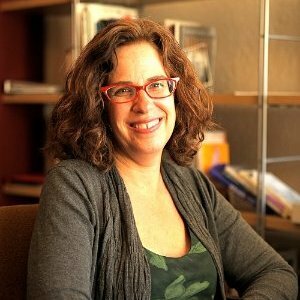 About Me – Abigail Levinson Marks, Ph.D. I am a licensed clinical psychologist with over 20 years providing therapy and consultation to adults, children, and adolescents. I earned my doctoral degree from the Wright Institute in Berkeley, California, where my dissertation research focused on the impact on teenagers of having a parent with cancer. I was trained in child and adolescent work at the McAuley Institute at St. Mary’s hospital in San Francisco (where I worked on the adolescent inpatient unit) and at the Ann Martin Center in the East Bay, working intensively with children and their families, and participating in their family illness and bereavement program. For the last 10 years, I’ve been on staff at Access Institute for Psychological Services in San Francisco, where I teach and supervise advanced interns in their clinic work with adults and children, and direct the school-based psychotherapy program, which emphasizes the importance of a close, interdisciplinary collaboration with parents, teachers, and school staff to address the needs of individual students and the school community as a whole. My other preschool and school-based work includes providing consultation to subsidized preschools in San Jose, elementary schools in San Francisco and high schools in Oakland, and two years as Staff Psychotherapist with the school-based health center at Fremont High School in Oakland. In my private practice, I’ve worked extensively with individuals and couples looking for help with fertility issues and third party reproduction, parents looking for help understanding how to help their child negotiate developmental issues, and people negotiating life transitions. I have a particular love for working with individuals and families coping with loss. In addition to my private practice work with individuals and families, I am a member of the advisory board to the Gordon Murray Caregivers Project at UCSF, and founded an annual weekend retreat for families coping with parental illness. I look forward to discussing how I might be of help to you and those you care about.